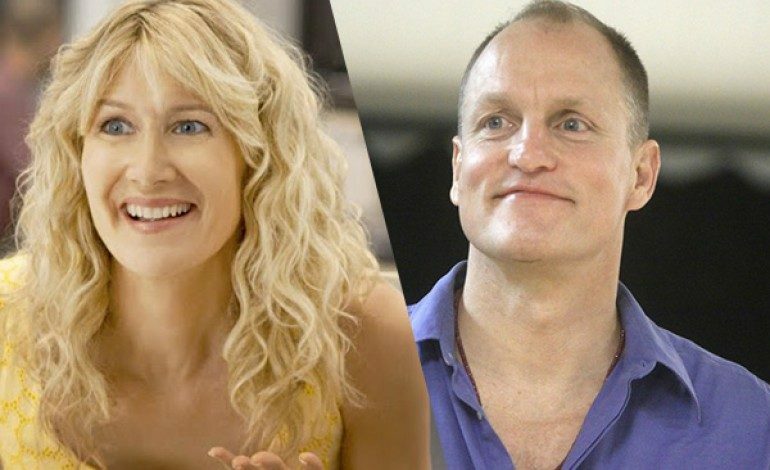 Skeleton Twins director Craig Johnson is set to bring Dan Clowes’ graphic novel Wilson to the big screen for Fox Searchlight with Woody Harrelson (The Hunger Games) and Laura Dern (Wild) as its stars, according to The Hollywood Reporter. Another graphic novel of Clowes’, Ghost World, received a film adaptation in 2001 and has since become a cult classic. Wilson will center on a divorced misanthrope who goes out to find his drug-addicted ex-wife after his father passes away. On the journey, he learns he has a teenage daughter, and tries to convince her and her mother to join him as a family. Clowes will be adapting the screenplay himself. Seeing as the film will be based on a graphic novel by a famed cartoonist, Johnson’s own brand of quirkiness seen in The Skeleton Twins will likely be a good fit to helm the adaptation. The dramedy already has some big name producers backing it including directors Alexander Payne (The Descendants) under his Ad Hominem Enterprises banner and Sam Raimi (Spider-Man). The project is set to begin filming this June in Minneapolis. Since ending his run on the Golden Globe nominated True Detective series, Harrelson has filmed both the final installment of The Hunger Games, and the western By Way of Helena with his co-star in the latter project, Liam Hemsworth. These two films will debut in 2015 along with Triple Nine. Before he begins his work on Wilson, he will be finishing up the Now You See Me sequel. Dern is coming away from an Oscar-nominated supporting performance in last year’s Wild. She has recently finished filming the Untitled Kelly Reichardt Project with Michelle Williams (Blue Valentine) and Kristen Stewart (Still Alice). After she completes Wilson, she will move on to film the McDonald’s biopic The Founder, which stars Michael Keaton (Birdman).